The car on display is a series DD Six Cylinder five passenger sedan. This rather plain model was designed to offset the ravages of the Great Depression. It was a modest step up from the “Low Price Three,” Ford, Chevrolet, and Plymouth. During the Depression of the 1930’s, America’s auto industry was in a deep crisis as sales plummeted. 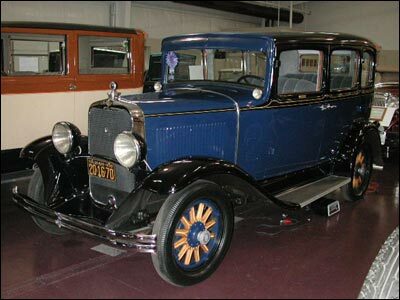 Despite this, Dodge managed to sell over 75,000 1930 models.